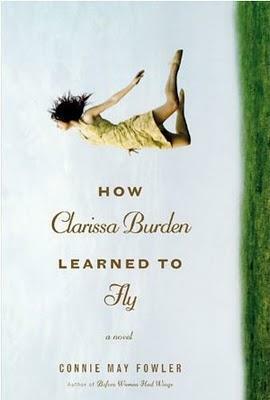 The title of Connie May Fowler’s novel How Clarissa Burden Learned to Fly comes close to saying it all. It is the story of a thirty-five-year-old woman’s inner struggle for independence and self-acceptance, which she slowly succeeds at achieving over the course of one single day—the summer solstice of 2006. The novel takes place in the hot, sticky forests and savannas of northern Florida, and it starts as one imagines the weather might feel. Slow moving, but full of detail, the reader learns about the immediate situation Clarissa finds herself in, as well as her surroundings. While Clarissa is in the kitchen of her sixteen-room, century-old house, her husband of seven years is outside taking photographs of naked women. He is an artist, and Clarissa is a bestselling author who hasn’t written anything in more than thirteen months. Instead of writing, she focuses her creative energies into meticulously detailed daydreams about the death of her husband. Fowler makes it clear from the start that Clarissa is in a loveless, emotionally destructive marriage. While her husband works on his “art,” he lives off of Clarissa’s money and treats her like she's worthless. Coming from a childhood with an abusive mother and no father, Clarissa realizes she is a doormat, but doesn’t know how to overcome it. Luckily, on that summer morning, a switch flips inside of Clarissa's mind when she realizes how trapped she is. What she experiences afterward not only inspires her to write again, but inspires her to change her life, to “learn to fly” in more ways than one. The novel focuses on Clarissa’s journey, but is told from the perspective of many. Clarissa’s house is haunted by the family who once lived (and died) there. There is a grounded angel and a carnival of dwarfs in town, and several of Clarissa’s inner voices prod her into taking action instead of waiting for things to happen. Every character she happens across that day seems to help to remind her that she is worth something. Fowler does an admirable job of making a story that’s been told original and exciting. Clarissa’s story culminates with a storm, which picks up the pace considerably. This is welcomed after the slow, winding road the novel has gone down up until that point. The transformation she goes through is satisfying, but mainly because she is so insecure (almost unbelievably so at times) throughout the majority of the novel. Her situation is extreme, but her lack of confidence in herself and the decisions she makes is relatable. People need validation in their lives, and, thankfully, once Clarissa receives it she moves on. I loved your review. I'm reading the book now and so far everything you've said is spot on.